I am a new assistant professor in the Department of Veterinary Microbiology at the WCVM as of July 2018. I am currently in the process of building a research group that will study the ecology of ticks and tick-borne diseases in Canada. 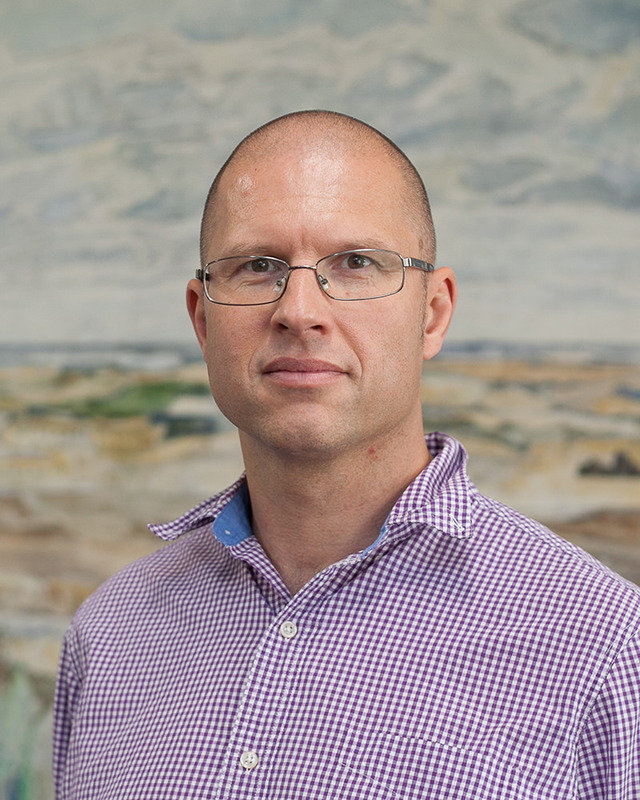 My research interests include host-parasite interactions, vector-borne diseases, multiple-strain pathogens and the ecology of mixed infections, Lyme disease and other tick-borne infections. From 2011 to 2018, I was an assistant professor in the Institute of Biology at the University of Neuchâtel in Neuchâtel, Switzerland where my research was focussed on the ecology of Lyme disease. From 2009 to 2010, I was a postdoc in the lab of Dr Dustin Brisson at the University of Pennsylvania in Philadelphia, USA. This postdoctoral experience introduced me to the world of ticks and tick-borne diseases. Study system: My research is focussed on the ecology of Lyme disease. Lyme disease is the most common vector-borne disease in the northern hemisphere (~130,000 human cases per year). The causative agents of Lyme disease are spirochete bacteria that belong to the Borrelia burgdorferi sensu lato (sl) genospecies complex. Ticks in the genus Ixodes transmit these tick-borne pathogens between vertebrate hosts. The main reservoir hosts for B. burgdorferi sl include rodents, insectivores, and birds whereas humans, companion animals, and livestock are accidental hosts. Below I have described four research topics that I am interested in and that I have either worked on in the past, that I am currently working on, or that I plan to develop in the future. The factors that maintain strain diversity in pathogen populations (current and future research topic): Many pathogen populations consist of genetically diverse strains. A fundamental question is to understand the ecological factors that allow this strain diversity to persist. Lyme borreliosis (LB) is caused by a tick-borne spirochete bacterium. In areas where LB is endemic, the ecosystem often contains a dozen or more strains. Using data from a long-term study (11 years) at the same site near Neuchâtel Switzerland, we showed that the local population of ticks contained over 21 different strains of the most common LB pathogens (B. afzelii and B. garinii). This study also showed that some strains are persistently common whereas other strains are persistently rare and we want to understand why [1, 2]. We have recently used experimental infections in laboratory mice to show that there is substantial variation in transmission efficiency between strains of B. afzelii . Interestingly, the strains that had higher fitness in the lab were also those strains that were most common in our wild population of I. ricinus ticks [2, 3]. We have also shown that strains with the highest spirochete load in wild ticks are the most common in nature . This study suggests that strains that establish a higher spirochete load are better at persisting in the tick vector . Strain diversity in pathogen populations can have important implications for public health such as diagnostics and vaccine development. The study of this genetic diversity can help with the development of effective control strategies. Strain-specific immune responses and strain diversity (current and future research topic):The immune response in the vertebrate host can play a critical role in mediating competition between strains and in maintaining strain diversity. Highly strain-specific antibody responses are particularly important because they separate strains into distinct immunological niches. We are interested in usingBorrelia burgdorferipathogens as a model system to study how the strain-specific antibody responses of the vertebrate host maintain a high local diversity of strains in nature. We have recently shown using a wild rodent reservoir host, that female rodents transmit strain-specific antibodies to their offspring that protect them against ticks that are infected with the same strain but not against ticks carrying a different strain (unpublished data). This intergenerational transfer of strain-specific immunity could play an important role in reducing competition between strains and in maintaining strain diversity. We are also interested in identifying the Borreliaantigens that mediate these strain-specific antibody responses. A likely candidate is outer surface protein C, which is a highly polymorphic immunodominant antigen that is known to induce strain-specific protective antibody responses in the vertebrate host . Interactions between pathogen strains in mixed infections (current and future research topic): Mixed infections or co-infections refer to the phenomenon where a host is infected with multiple strains of the same pathogen species. In mixed infections, pathogen strains often compete over limited host resources. This competition can have important consequences for the transmission success and prevalence of individual strains. In pathogens with complex life cycles, competition between strains can occur at multiple steps in the life cycle. We are currently using the tick-borne pathogen, Borrelia afzelii, as a model system to study competitive interactions in both the vertebrate host and the arthropod vector. We found that for some strains of B. afzelii, competition in the rodent host can strongly reduce host-to-tick transmission success (unpublished data). We measured inter-strain competition in different tissues of the rodent host and found that it was strongest in the skin, which is the most important organ for host-to-tick transmission (unpublished data). With respect to competition between strains in the tick vector, we had shown that mixed infections are common in wild ticks and found patterns of strain-specific abundance in ticks that were consistent with competition [1, 4]. We have shown that the spirochete population in the tick vector decreases dramatically over time suggesting limited resources and the potential for strong competition [5, 6]. More recently, we used experimental infections to show that competition between strains reduces their abundance in the tick vector (unpublished data). We are currently investigating whether this competition between strains in the tick vector influences the strain-specific tick-to-host transmission success. Co-feeding transmission (past research topic):Co-feeding transmission of vector-borne pathogens occurs when the vector is transferred directly between arthropod vectors that feed in close proximity to each other on the same host. This mode of transmission has been demonstrated in a number of vector-borne pathogens such as West Nile virus, tick-borne encephalitis virus, and LB pathogens . Our research group has made a number of contributions to co-feeding transmission of LB pathogens [3, 7, 8, 9]. We have shown that co-feeding transmission can vary among strains of B. afzelii [3, 8]and that this phenotype is associated with strains that have high fitness and that are common in nature [2, 3]. We have shown that co-feeding transmission does not allow B. afzeliito escape pre-existing innate immunity or acquired immunity . We have recently shown that I. scapularis nymphs that acquire B. afzelii via co-feeding transmission during the larval blood meal are infectious to rodent reservoir hosts . Durand J, Jacquet M, Paillard L, Rais O, Gern L, Voordouwa MJ. Cross-immunity and community structure of a multiple-strain pathogen in the tick vector. Appl Environ Microbiol.2015;81 22:7740-52. Durand J, Jacquet M, Rais O, Gern L, Voordouw MJ. Fitness estimates from experimental infections predict the long-term strain structure of a vector-borne pathogen in the field. Scientific Reports.2017;7 1:1851. Tonetti N, Voordouw MJ, Durand J, Monnier S, Gern L. Genetic variation in transmission success of the Lyme borreliosis pathogen Borrelia afzelii. Ticks Tick Borne Dis.2015;6 3:334-43. Durand J, Herrmann C, Genne D, Sarr A, Gern L, Voordouw MJ. Multistrain infections with Lyme borreliosis pathogens in the tick vector. Appl Environ Microbiol.2017;83 3. Jacquet M, Durand J, Rais O, Voordouw MJ. Cross-reactive acquired immunity influences transmission success of the Lyme disease pathogen, Borrelia afzelii. Infection Genetics and Evolution.2015;36:131-40. Jacquet M, Genné D, Belli A, Maluenda E, Sarr A, Voordouw MJ. The abundance of the Lyme disease pathogen Borrelia afzeliideclines over time in the tick vector Ixodes ricinus. Parasit Vectors.2017;10 1:257. Voordouw MJ. Co-feeding transmission in Lyme disease pathogens. Parasitology.2015;142 2:290-302. Jacquet M, Durand J, Rais O, Voordouw MJ. Strain-specific antibodies reduce co-feeding transmission of the Lyme disease pathogen, Borrelia afzelii. Environ Microbiol.2016;18 3:833-45. Belli A, Sarr A, Rais O, Rego ROM, Voordouw MJ. Ticks infected via co-feeding transmission can transmit Lyme borreliosis to vertebrate hosts. Scientific Reports.2017;7 1:5006. Heylen DJA, Sprong H, Krawczyk A, Van Houtte N, Genne D, Gomez-Chamorro A, et al. Inefficient co-feeding transmission of Borrelia afzeliiin two common European songbirds. Scientific Reports.2017;7. 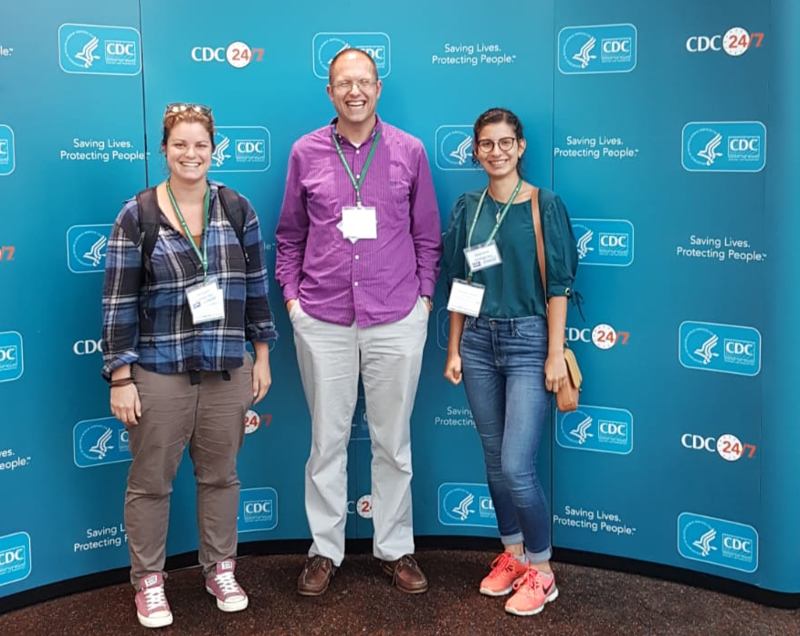 Maarten, Cindy, and Dolores at the 15th International Congress on Lyme Borreliosis (ICLB15) and Other Tick-Borne Diseases, which was held from 11 to 14 September 2018 at the Centers for Disease Control and Prevention (CDC) at Emory University in Atlanta, Georgia. 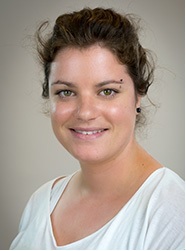 Cindy Bregnard is doing her PhD under the supervision of Maarten Voordouw. 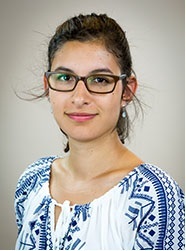 She is currently based at the University of Neuchatel in Neuchatel, Switzerland. Cindy’s PhD thesis topic: Lyme disease is the most common vector-borne disease in the temperate regions of the northern hemisphere. This multisystemic inflammatory disorder is caused by spirochete bacteria of the Borrelia burgdorferi sensu lato (sl) genospecies complex, which are transmitted among vertebrate hosts by the hard ticks of the genus Ixodes. In Europe, the main vector responsible for transmitting the disease to humans is the sheep tick, I. ricinus. Its distribution is wide across Europe, ranging from Ireland to the Urals, and from northern Sweden to North Africa. Abiotic factors such as climate and biotic factors such as the community of host species and vegetation structure affect the geographic distribution and seasonal abundance of I. ricinus ticks, and the prevalence of tick-borne diseases. For example, abiotic variables such as temperature, relative humidity, and saturation deficit are known to influence questing behavior and life history traits (development and mortality), and ultimately phenology and abundance. Climate change in Europe is believed to have increased the expansion of I. ricinus ticks towards northern latitudes in Scandinavia and towards higher altitudes in Central Europe. Given the importance of alpine tourism and leisure activities in Switzerland, changes in the altitudinal abundance of I. ricinus ticks may have important consequences for the risk of exposure to tick-borne pathogens. The dramatic variation in tick abundance across an altitudinal gradient is therefore an interesting system for studying how climate variables influence tick abundance and the prevalence of tick-borne pathogens. The aim of my PhD thesis is to better understand how climate and elevation influence the ecology of I. ricinus ticks and the prevalence of tick-borne pathogens at different elevations. We used data from a long-term study that had monitored the abundance of I. ricinus ticks at four different elevations (620, 740, 900, and 1073 m above sea level) on Chaumont Mountain, in Neuchatel, Switzerland. These four sites were sampled on a monthly basis over a period of 14 years from January 2004 to December 2017. We will use environmental variables such as air temperature, relative humidity, and saturation deficit to determine how climate and elevation affect the abundance of I. ricinus ticks and the prevalence of tick-borne pathogens. Dolores Genné is doing her PhD under the supervision of Maarten Voordouw. She is currently based at the University of Neuchatel in Neuchatel, Switzerland. Dolores’s PhD thesis topic: The spirochete bacterium Borrelia afzelii causes Lyme disease in humans. This tick-borne pathogen is transmitted among hosts by the sheep tick Ixodes ricinus. Populations of B. afzelii consist of multiple strains that are often classified according to the highly polymorphic ospC gene that codes for outer surface protein C (OspC). Both vertebrate hosts and the tick vector can carry mixed infections. The purpose of my master thesis project is to study the competition between two ospC strains of B. afzelii, A3 and A10, inside the organs of its rodent host and inside the tick vector. Laboratory mice will be experimentally infected via tick bite with single or double infections of strains A3 and A10. Larval ticks will be allowed to feed on the mice and acquire the spirochete infection. The blood-engorged larval ticks will be allowed to moult into nymphs. I will then check the evolution of the spirochete load of the two strains inside the nymphs over time. I will also study the distribution of both strains inside the mice organs. A strain-specific quantitative PCR will be used to estimate the spirochete loads of each strain in the ticks and the mice organs. For a complete list of publications, please see my site on Google Scholar (https://scholar.google.ch/citations?user=49Ju1HIAAAAJ&hl=en). Most of the pdf files of my publications are currently available on my old University of Neuchatel website (https://www.unine.ch/labpar/home/publications_5.html) or on ResearchGate (https://www.researchgate.net/profile/Maarten_Voordouw).